About 9 months ago, I embarked on a 30-Day Spending Fast before quitting my day job and going back to school full-time. I learned a lot about myself during that time in regards to what I need and what I want and even when I went back to spending money again. I highly recommend going on a “fast” to learn what things (literally) are worth to you. You really discover what is worth your time/energy and what is worth your money. Now that the Holidays are over, I’m looking around my house seeing an accumulation of stuff; mainly things that I do not need like travel size toiletries for when guests come over (um, yeah…cause I get so many, NOT), or my bulk stash from a discount/coupon deal, or just things that I forgot about like under my bathroom sink! I realize that I have much that needs to just be used up so I can get back my space and back to simplicity……and lastly, I spent much MORE MONEY this holiday season on gifts and a vacation before school started up again (the vacation was worth it 🙂 ). Yet I NEED to get back on track with my savings, so I don’t run out before graduating…..so I thought about doing another Spending Fast but this time for 90 days and see what occurs. Stay tuned for this 90-Day Challenge! 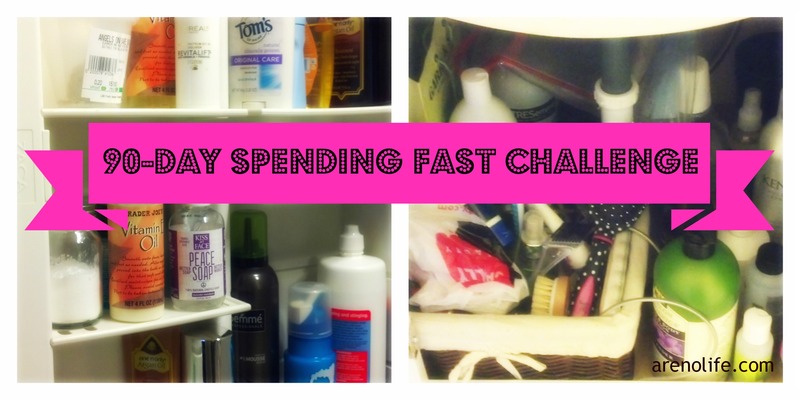 Next Post 90-Day Spending Fast Challenge: What’s for Dinner?